Preorder REAPER: GHOST TARGET now, Nick Irving's debut thriller that Brad Thor calls "one hell of a read"! 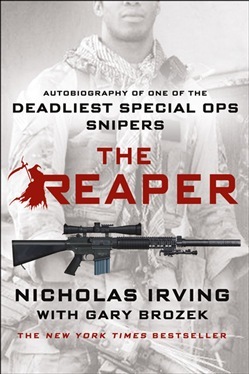 The Instant New York Times Bestseller by Co-Star of Fox's American Grit and Legendary Ranger Nick Irving Groundbreaking, thrilling and revealing, The Reaper is the astonishing memoir of Special Operations Direct Action Sniper Nicholas Irving, the 3rd Ranger Battalion's deadliest sniper with 33 confirmed kills, though his remarkable career total, including probables, is unknown. Irving shares the true story of his extraordinary military career, including his deployment to Afghanistan in the summer of 2009, when he set another record, this time for enemy kills on a single deployment. His teammates and chain of command labeled him "The Reaper," and his actions on the battlefield became the stuff of legend, culminating in an extraordinary face-off against an enemy sniper known simply as The Chechnian. 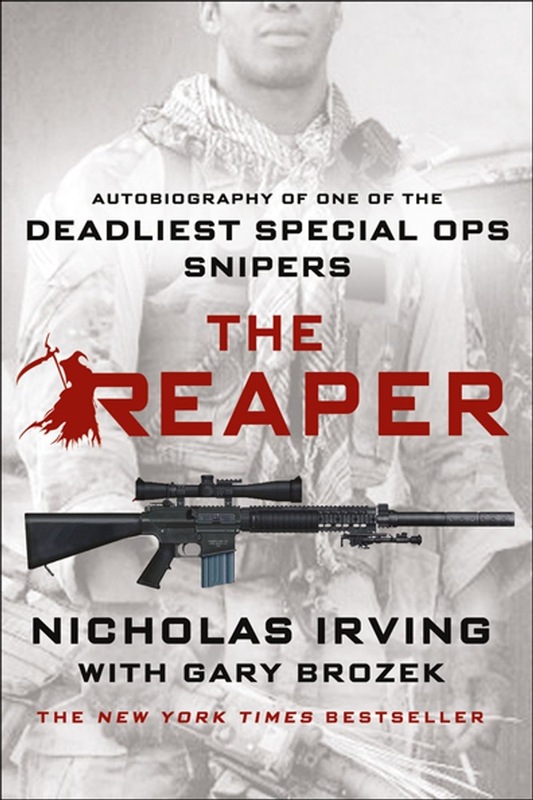 Irving's astonishing first-person account of his development into an expert assassin offers a fascinating and extremely rare view of special operations combat missions through the eyes of a Ranger sniper during the Global War on Terrorism. From the brotherhood and sacrifice of teammates in battle to the cold reality of taking a life to protect another, no other book dives so deep inside the life of an Army sniper on point. Acquista The Reaper in Epub: dopo aver letto l’ebook The Reaper di Gary Brozek, Nicholas Irving ti invitiamo a lasciarci una Recensione qui sotto: sarà utile agli utenti che non abbiano ancora letto questo libro e che vogliano avere delle opinioni altrui. L’opinione su di un libro è molto soggettiva e per questo leggere eventuali recensioni negative non ci dovrà frenare dall’acquisto, anzi dovrà spingerci ad acquistare il libro in fretta per poter dire la nostra ed eventualmente smentire quanto commentato da altri, contribuendo ad arricchire più possibile i commenti e dare sempre più spunti di confronto al pubblico online.